Unlock Prince Panji to the World: now awarded world heritage status by UNESCO! 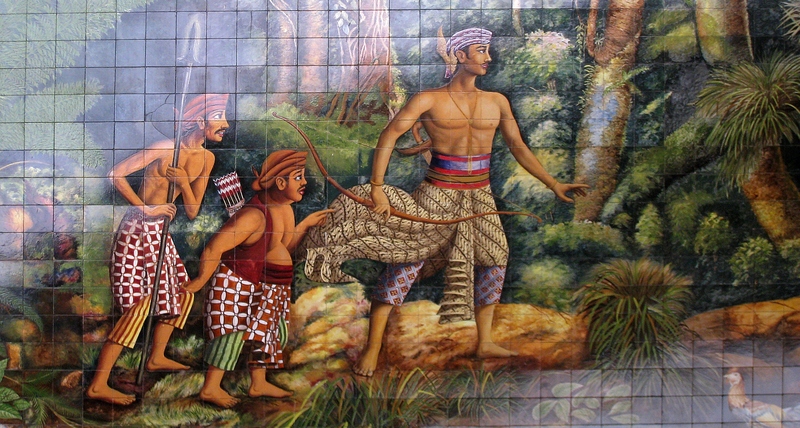 Prince Panji is the title character in the popular Panji tales from Java. These stories are, without fail, about a prince and a princess, about love and adventure. They can be rather complex, featuring name changes, masquerades, incarnations and transformations, and may take the form of text or theatre. There are dozens of known Panji tales, written in different languages such as Javanese-Balinese, Javanese, Malaysian, Balinese, Sasak, Sundanese, Acehnese and Buginese. They originate from Eastern Java and have spread across a large area from Indonesia to Malaysia and from Cambodia to Thailand. They owe their popularity to the flexibility of the story which can be easily adjusted to fit local traditions. Leiden University Libraries houses a unique collection of more than 250 manuscripts containing centuries-old Panji tales. The study of these texts lead to many new insights about Southeast Asian history, literature and culture. The unique manuscripts come in many different shapes and sizes and are handwritten in several different languages. At the moment, they can only be consulted in the library’s Special Collections reading room. By digitising the Panji tales, we will be able to provide worldwide open access for research and educational purposes. Digitising old manuscripts is a costly and time-consuming process. We need your help achieving our goal of digitising the Panji tales. Watch the video above to find out more. The unique collection of more than 250 ancient tales revolving around the mythical Javanese prince Panji has been acknowledged as world heritage by UNESCO. The Leiden collection of Panji tales is included in the UNESCO Memory of the World Register together with similar collections held by the national libraries of Indonesia, Malaysia and Cambodia. The Memory of the World Register contains documentary heritage of outstanding value to the world. Leiden University Libraries (UBL) already cares for two documents included in the UNESCO Register: La Galigo (2011) and Babad Diponegoro (2013). Leiden University Libraries is grateful to UNESCO for this exceptionally prestigious award. 18-01-2018 | 15:56 Anonymous Ik hecht heel veel waarde aan het behoud van cultuurbezit uit voormalig Nederlands Indië. Het verspreiden van inzicht en historie vind ik van belang. Ik was in de jaren 80 erg ongerust te horen, dat de Nederlandse Universiteiten boeken veel wetenschappelijke publicaties aan Australië ging verkopen. Zelf ben ik van gemengd bloed Indisch- Nederlands.